Being mindful means that we process information given to us by external sources before reacting emotionally. It’s a matter of training the brain to control our thoughts and reactions. There is no creature more susceptible to quick and furious emotional reaction than a child. But you can imagine how difficult teaching such a concept to a little one can be. Thankfully, other people have done the work for us and have written some amazing books to help teach your child the concept of mindfulness. Each is written in order to illustrate mindful techniques in simple and relative ways – making it easy for children to understand the concept that is being taught. This book follows the journey of small boy who is using mindfulness to navigate through his worrisome thoughts. It is simply written and beautifully illustrated. 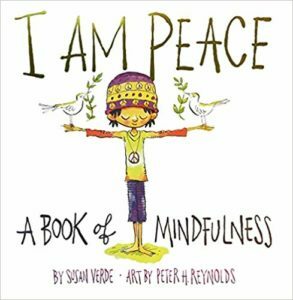 The book also includes an author’s note on mindfulness as well as a guided meditation for children. 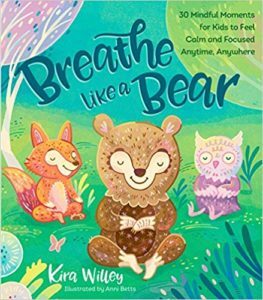 Author Kira Willey offers 30 easy-to-follow techniques designed to teach children how to manage their bodies, breath and emotions. These practices and movements can be performed anytime and anyplace, making this book the perfect tool for integrating mindfulness into everyday life. It’s a great book to keep on hand for moments in need of peace and calm. This story of a sweet little redhead not only teaches the importance of everyday actions (and their impact on the world) but also positive self-talk and the benefit of affirmation. On her journey, the heroine engages in self-care and finds strength in kindness. 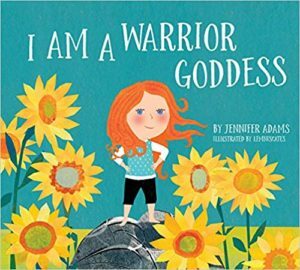 Never before has the concept of “Girl Power” been so important – and this book teaches that every girl has an inner strength. For some reason, children are fascinated by concepts as soon as they are paired with the alphabet. 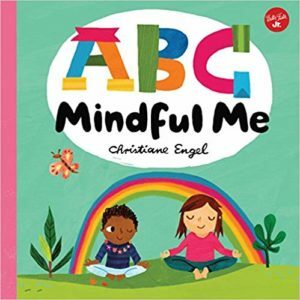 This book takes full advantage of this fascination by presenting key mindfulness tenants by exploring them through the alphabet. 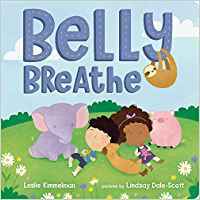 The rhyming patterns are engaging and the illustrations are colourful and fun – making this the perfect book to introduce your little one to the practice of mindfulness. Proven to be a useful tool for relieving tension and improving concentration, belly breathing is a technique that can benefit the whole family! The books uses some wonderful animal illustrations to demonstrate different breathing techniques, such as feather breathing and purring breathing.